The growing prevalence of chronic diseases is leading to the high occurrence of chronic musculoskeletal pain, which is likely to create an upswing in the demand for tapentadol worldwide. Tapentadol is also used for the treatment of moderate to severe acute pain. The potency of this treatment lies somewhere between that of morphine and tramadol. Despite the lower occurrence of side effects, its analgesic efficacy is comparable to that of oxycodone. The treatment is still prescribed to adults as there has been no well-controlled study reported for children. The rising incidence of diabetes is also working in favor of the global tapentadol market. However, tapentadol comes with its own set of contraindications, especially in the treatment of people suffering from epilepsy or are susceptible to seizures. People suffering from brain tumor, head injuries, or other conditions should avoid consuming it as it increases intracranial pressure. Its usage is discouraged for people with asthma as it boosts the risk of respiratory depression. Its consumption is also strictly prohibited for patients having biliary tract disease such as both acute and chronic pancreatitis as it may cause spasms of the sphincter of Oddi. Besides this, tapentadol cannot be used for people suffering from severe liver diseases and should be carefully administered to people with the moderate liver disease. Moreover, it is not recommended for treatment of women during and immediately before labor and delivery. Tapentadol is still in the launch or post-launch phase in several countries across and yet to be commercially introduced in numerous countries. Its marketing is done only in countries where adequate national control steps offering the same control as for schedule I of the United Nations (UN) Single Convention on Narcotic Drugs are applied. Tapentadol is a dual mode analgesic that performs the actions of being a norepinephrine reuptake inhibitor as well as a mu-opioid receptor antagonist. Its analgesic properties come into effect within few minutes of oral administration. Tapentadol has been recognized as a step three analgesic on the World Health Organization (WHO) pain ladder. Tapentadol is utilized for the treatment of moderate to severe pain for chronic and acute musculoskeletal pain. It is available in the U.S. in extended release formulations under the branded name Nucynta ER from Janssen Pharmaceuticals. Nucynta contains the (R.R.) stereoisomer, which is a weak isomer in terms of opioid activity. Tapentadol is a newly released drug, being approved by the U.S. Food and Drug Administration (FDA) in 2011, by the Therapeutic Goods Administration (TGA) of Australia in 2010 and by the Medicines and Healthcare products Regulatory Agency (MHRA) of the U.K. in 2011. Tapentadol is often used to ease pain which cannot be managed with other types of analgesics. Its formulation is provided in 100 mg (red/orange), 75 mg (orange) and 50 mg (yellow) tablets to be used once every five hours as needed to control pain. In addition, tapentadol can be used for controlling the pain of diabetic neuropathy when round-the-clock analgesics are required. However, tapentadol is known to have adverse side-effects. It may impair cognitive and physical abilities and should not be used when operating heavy machinery, especially during initial treatment. Dizziness, nausea, constipation and central nervous system (CNS) sedation are common side-effects of tapentadol. Its consumption can increase the risk of seizure and should be administered to epileptic patients with extreme caution. The growth in the demand for analgesics is expected to increase the overall demand for tapentadol. In addition, the rising demand for over-the-counter painkillers in the emerging economies of Asia Pacific is expected to boost demand for tapentadol. The global tapentadol market, however, is restricted by factors including stringent government regulations, availability of substitutes, and adverse effects of tapentadol could hamper the growth of the market. North America is the leading tapentadol market, followed by Europe and Asia Pacific. The demand for tapentadol is exceptionally high in the U.S., owing to a higher percentage of the elderly population, a demographic which forms the leading consumer pool for tapentadol in the world. Asia Pacific is projected to be at the forefront of the global tapentadol in terms of growth. China and India are expected to show a very high rate of increase in the consumers of tapentadol due to their growing population pools and rapid urbanization rates. Taiwan, Honk Kong, Japan, Republic of Korea, Malaysia and Indonesia are other key consumers of tapentadol in Asia Pacific. Increasing consumer awareness, better treatment and an increase in life expectancy is likely to propel future growth. The tapentadol market is dominated by large pharmaceutical companies with established brands. Companies are investing in research and development to develop new grades of tapentadol. In addition, companies are using strategic acquisitions and mergers to remain competitive in market and increasing their presence in emerging economies of Asia Pacific and Latin America. 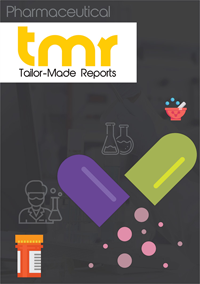 Some of the key players operating in the global tapentadol market so far, have been Johnson & Johnson Pharmaceutical Research & Development, L.L.C., IPCA Laboratories Ltd., Lupin Laboratories Ltd., Ranbaxy Laboratories Ltd., Aristo Pharmaceuticals Pvt. Ltd., Cadila Pharmaceuticals Ltd., Tirupati Medicare Ltd, and Manus Aktteva Biopharma LLP.